The tunnels could also one day be used for Musk's Hyperloop transit concept. In brief: The Boring Company and Elon Musk have completed about 152 meters of their tunnel project under the city of Los Angeles. Musk posted a photo of the tunnel's progress on his Instagram on Saturday. After almost five months, Elon Musk's Boring Company has finally finished a portion of the tunnel they're digging under Los Angeles. 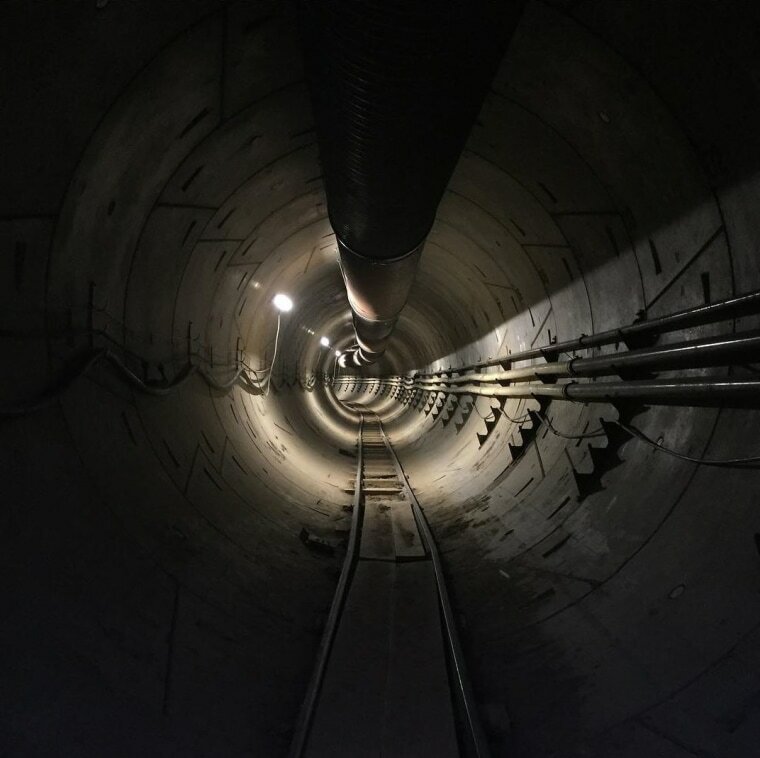 Musk proudly posted a photo of the tunnel on his Instagram, simply captioned with "The Boring Company tunnel under LA." The tunnel is a clear demonstration of how Musk's tunnel-digging venture has evolved from the initial idea first floated on Twitter to reality. The Boring Company started with a 49-m (160-ft) tunnel test path under SpaceX's Hawthorne headquarters earlier this summer. In August, the company sought permission from the city government to expand the tunnel for 3.2 km (2 miles), a path that would travel to the local airport. Musk’s photo shows a portion of this 3.2-km tunnel, which he said is some 152 m (500 ft) long. "Should be 2 miles long in three or four months and hopefully stretch the whole 405 [north to south] corridor from [Los Angeles International Airport] to the 101 in a year or so," Musk added in a tweet, confirming a previously laid out plan. While the photo doesn't really distinguish it from other similar infrastructures, the Boring Company's tunnel will ultimately be quite different in function. As Musk previously revealed, cars and people would be ferried under the Boring Company's network of tunnels using an electric skate or sled. These sleds come from above ground, through special platforms located along the route of the tunnels. Using a special elevator, cars and "people pods" are brought down into the tunnel, where the sleds can travel up to 242 k/h (150 mph). The fairly futuristic concept could certainly disrupt city transportation, but perhaps even more interesting is the potential of these tunnels to become tubes designed for a Hyperloop — Musk's concept for a super-fast future train pods which the CEO first spoke about back in 2012. At any rate, the Boring Company is building tunnels designed to bypass heavy traffic in congested urban areas, such as L.A., and provide faster access to the city’s airport. And L.A. isn’t the only one — other municipal governments have expressed interest in having a similar tunnel network under their cities.